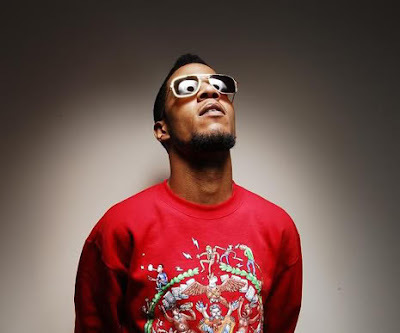 Great White DJ: "I've got...99 problems...and they all..."
Kid Cudi is one complex dude. Initially, I had always kind of wondered since his lyrics go way more than skin deep, but based on the limited amount of tracks I had heard from him, I still didn't quite understand where he was coming from. That all changed after I heard his new song Soundtrack to My Life. Let me first preface my reaction to this song by saying this has got to be the Christmas off all months in 2009 so far with all of the quality Hip Hop that is being released this month (Sean Carter, Pitbull, Cudi, Kingston, Raekwon...just to name a few). For all those listeners out there who can appreciate true expression, this one will suit you...matter of fact Cudi's whole album will suit your needs. The album review of Man on the Moon: The End of Day will come later, but this song is as raw as it gets when it comes to someone emptying their soul lyrically. I personally love it because I'm also one of those jaded people who can appreciate vulnerability and see music as nothing more than someone's effort to try and relate to someone else...making it in essence a soundtrack or audio portrayal of the life you are living. Artists that can make such negative internal thoughts inspirational deserve more credit than they get. I agree Cudi, if I were you I'd probably be a jackass because of the bloggers too. Too many times we find it so easy to judge when someone is just trying to keep it 100 and talk about real life in their verses. Gotta give credit when credit is deserved and this is me giving out Daps and Pounds because your song Soundtrack to My Life is the best track this month and the irony of you mentioning Shawn Carter in the first verse is appropriate because while The Blueprint 3 may be a classic in the making, I personally thought your track deserved the number 1 spot. Kid Cudi - Soundtrack to My Life Song of the Month!! !